The Owls have now lost four-straight games for the first time this season. 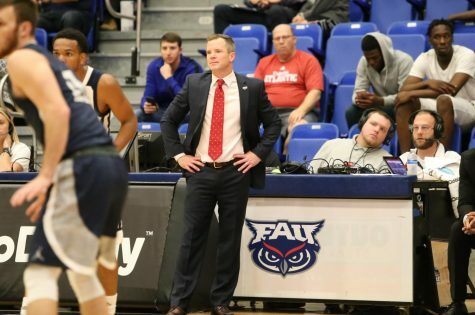 In one of the more exciting games of the year with a packed crowd of over 2,000 people in attendance, FAU came up just short to rival FIU, 78-74. 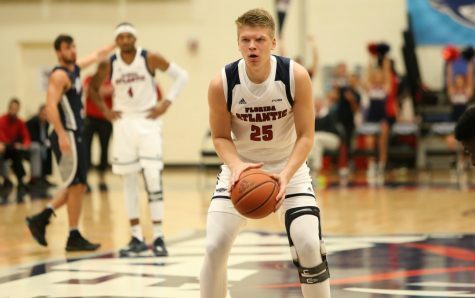 FAU has now lost four straight. 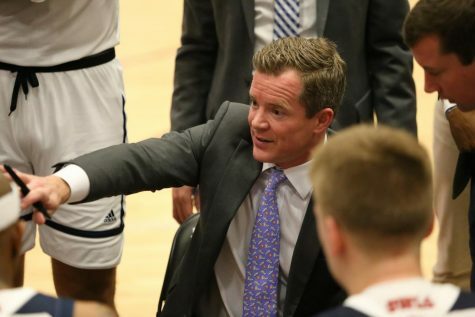 The Owls had a chance to tie the game with seven seconds left after marching back from a 14-point deficit. Stapleton had the first opportunity but missed on a good look at the rim. Simeon Lepichev got in position for the putback, but his shot went awry as well. A lack of perimeter defense played a major role in the loss. 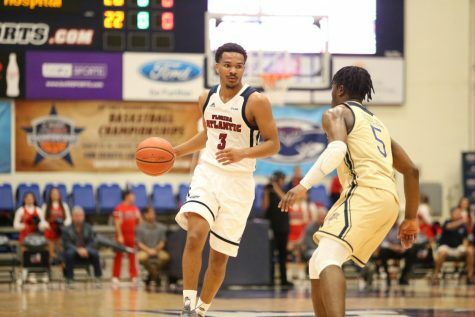 The Panthers shot an exceptional 46 percent from three-point range, guard Brian Beard Jr. tallying four triples himself. 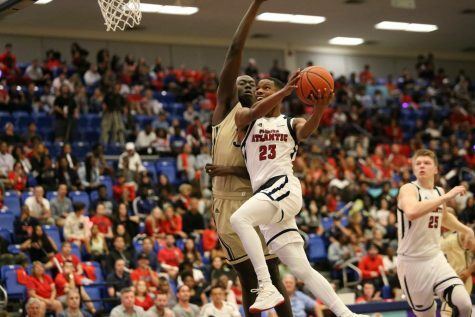 On the Owls side, Adger led the team in scoring with 21 points and Xavian Stapleton came off the bench to score 13 with nine boards. It was frustrating night for the Owls offensively, as they shot 37.7 percent from the field and a dismal 30 percent from deep. 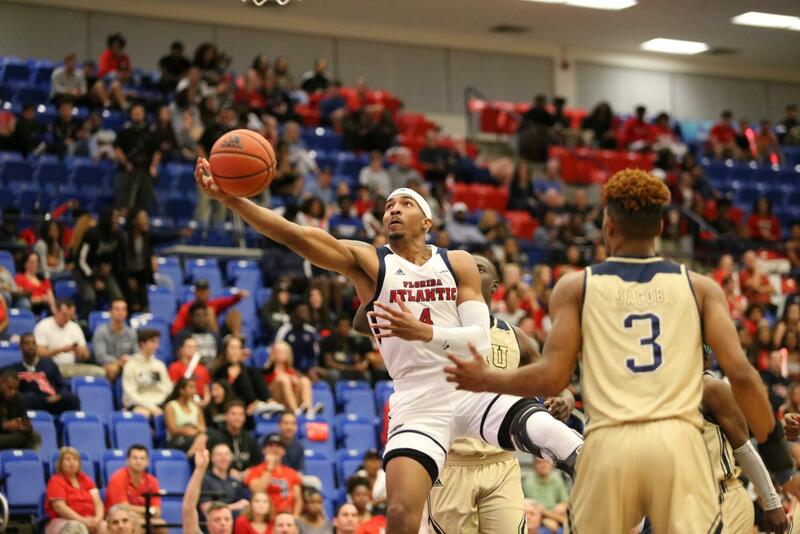 FAU had a chance to tie the game with seven seconds left after marching back from a 14-point deficit. Stapleton had the first opportunity, but missed on a good look at the rim. Simeon Lepichev got in position for the putback, but his shot went awry as well. 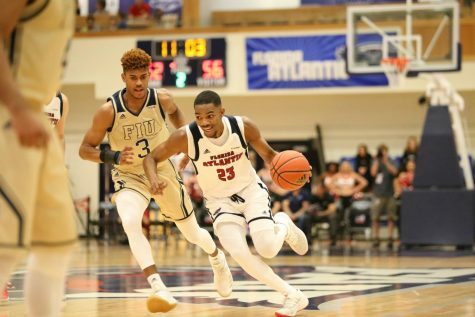 FIU was physical from start to finish and at some points it was too much for FAU. 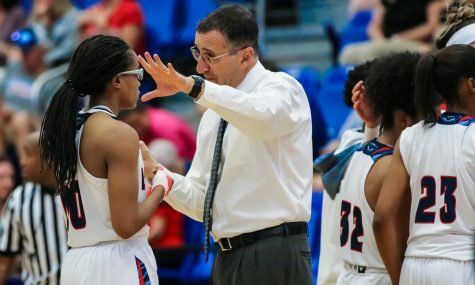 The Panthers used a full court press defense on the Owls for most of the game, preventing them from getting into the flow of their offense. It was a heartbreaking loss, but FAU coach Dusty May and his team have a chance at redemption this weekend. 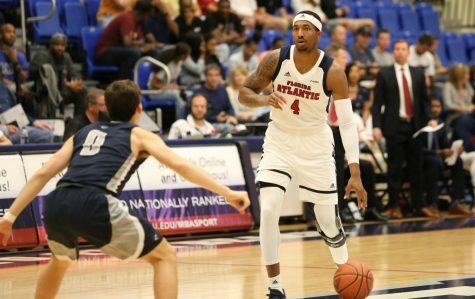 FAU takes on the Panthers again this Saturday, in Miami, tip-off at 7 p.m.